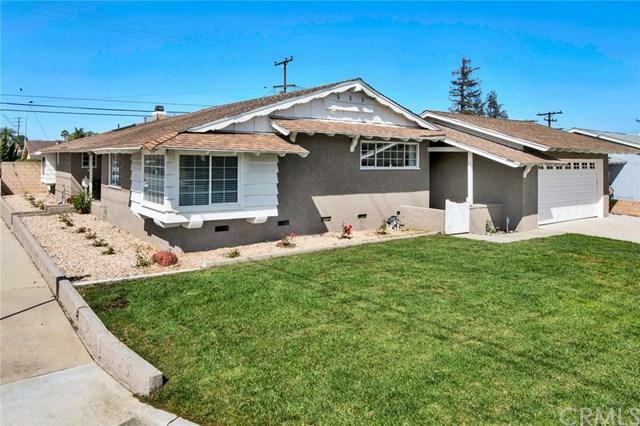 2601 W Lambert Road, La Habra, CA 90631 (#300969046) :: Ascent Real Estate, Inc. Wonderful single story, five bedroom and three bath home with over 2000 square feet on a corner lot with beautiful hardwood flooring and an open floor plan, dual pane vinyl windows & a large grassy play area out back! Starts with a lush green front lawn, a wonderful floribunda rose garden into a fantastic living room with refinished hardwood floors. 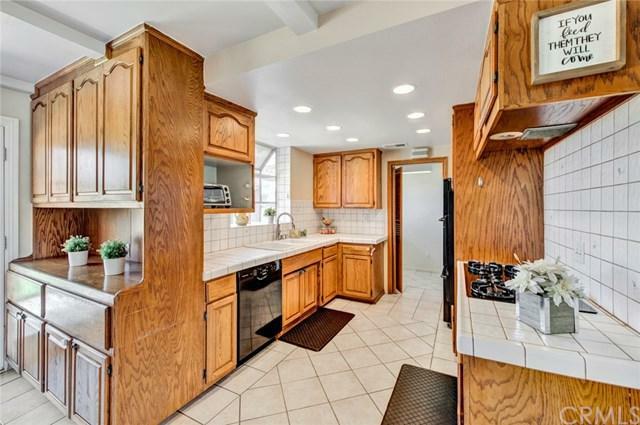 Kitchen has a Maytag 5 burner stove top, GE profile oven, Bosch dishwasher, Oak cabinetry and lots of storage,all opening to a spacious family room!. Family r Wonderful single story, five bedroom and three bath home with over 2000 square feet on a corner lot with beautiful hardwood flooring and an open floor plan, dual pane vinyl windows & a large grassy play area out back! 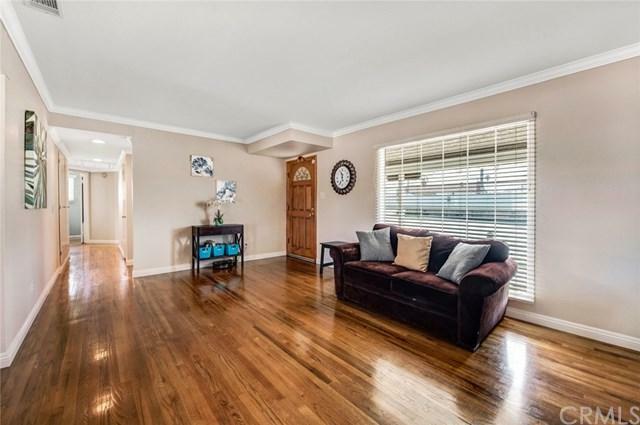 Starts with a lush green front lawn, a wonderful floribunda rose garden into a fantastic living room with refinished hardwood floors. Kitchen has a Maytag 5 burner stove top, GE profile oven, Bosch dishwasher, Oak cabinetry and lots of storage,all opening to a spacious family room!. 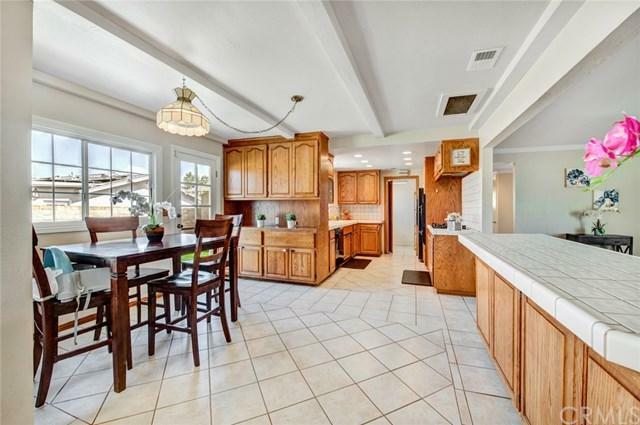 Family room has large cathedral ceilings with dual skylights, dual track lighting and lighted ceiling fan, laminate flooring with glass slider to the backyard. Adjoining Full bath with pedestal sink and shower over tub and newer fixtures, even has Crown molding. Fifth bedroom has crown molding, lighted ceiling fan, dual closets and laminate flooring. Master bedroom is prodigious with coffered ceiling, crown molding, extra tall baseboards, romantic fireplace with stone facade and beautiful wood mantle, extra tall baseboards and sitting bench with recessed lighting, even has a walk-in closet. Master bath has dual sinks jetted tub & separate shower. Hallway bath has shower over tub, wood vanity, medicine cabinet. All bedrooms are spacious and have wood flooring! Large formal dining room with chandelier lighting fixture. Separate laundry room with extra utility cabinets/ Central HVAC system, block walls all around, detached two car garage with wonderful storage.